Do you have a woodturner in your life? Someone who loves to make beautiful objects from wood that spins on his lathe? They’ve got tools and equipment and you are not really sure what all of them are good for. But you’d like to pick out a gift that would complement their passion. The last time you asked him what he wanted the answer was nothing. That’s not much to go on, so here are a few items that will work as gifts for woodturners. All woodturners need inspiration. Turning at the lathe is fun and enjoyable. You want to help him keep up his energy and enjoyment. So he needs ideas and inspiration, he works better when comfortable and safe, and some wood to turn as well. Don’t forget the coffee! For the woodturners in the crowd, I’m glad you’re here. Use these ideas when a loved one asks for gift suggestions. 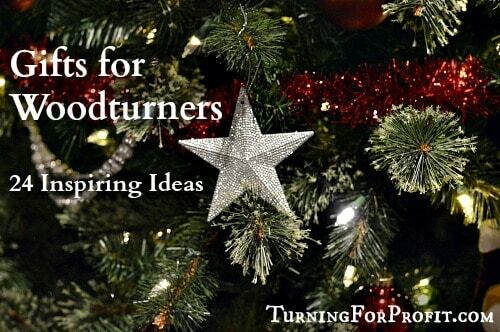 I’ve compiled a list to help you find the most inspiring gifts for woodturners this season, but I’d also love to know your picks. So if you’ve done your shopping already, can you scroll down to the comments and let me know what you found? Thanks. These woodturners are so hard to find gifts for that I’ve included two bonus gifts at the end. There is something about reading a book. Being able to put it down or pick it up as needed. For those working in the shop a book can make the trip to the shop without being damaged by the sawdust. For inspiration and storing information books are amazing. 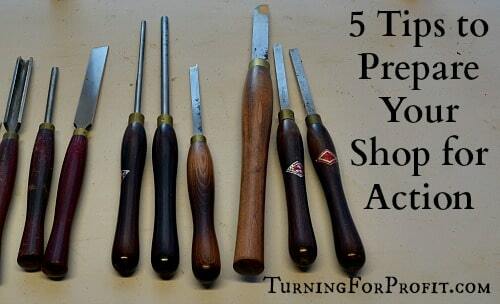 Here are 5 that I recommend as gifts for woodturners. 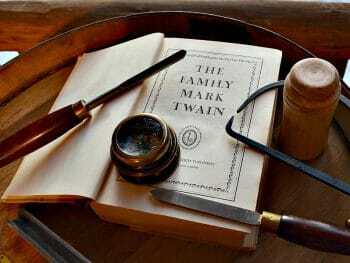 This book goes way beyond woodturning polishes and finishes. It has recipes for wood polish, finish, and car wax and more. 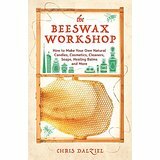 There are tips for using beeswax in the shop. If you shovel snow with a metal shovel, a coating of beeswax helps the snow to slide off instead of sticking. But there is so much more you can do with beeswax. If you have a woodturner who likes to make more than just turnings then this is a great handbook to have on hand. A super book for learning how to turn wood without having an instructor. Very clear instructions and explanations on what works and what will cause you problems. Teaches both spindle (between centers), and bowl (faceplate) turning. This book is a complete resource for basic turning techniques. For the woodturner who has the basic skills, this book will expand your horizons. Follow Terry Martin on his woodturning journey as he breaks the rules yet stays true to his turning heritage. This book is very encouraging and inspiring for beginning and advanced turners. I also reviewed this book a little while ago. This book presents the benefits and challenges of turning green wood. That is, wood that has not completely dried and can actually be quite wet! Working from the fresh log to the lathe the process is described including how your wood will dry and change over time. When you are just starting out green wood might be your only option for turning wood. You will learn how to cut the wood to achieve specific grain patterns and how to store and dry your wood as well. This is a guide that will lead you into the amazing world of segmented woodturning. From an initial simple bowl to vases with intricate designs you are given step by step visual instructions. From how to determine the size of pieces you need, building the project on the lathe, and ending with designing unique patterns, this book has it all. These two go hand in hand. If a turner is comfortable they will also be safer. What do I mean? If you have shavings coming down your clothing then you are distracted and not focused on your turning. Avoiding accidents keeps you comfortable! Being comfortable allows you to focus on your turning. These gifts for woodturners will increase their comfort and safety in their shop. Slip this long sleeved smock on and keep the sawdust and chips at bay. 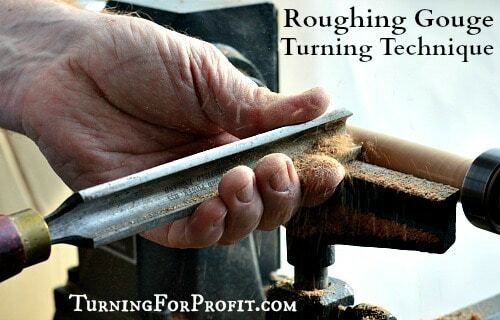 This is especially useful when turning green wood or hollow forms that really get the shavings flying. Made of durable fabric so you can keep the neck nice and tight as well. Helps to keep shavings out of the house as well. These gloves are flexible and protective. I normally don’t wear gloves when I am turning however, sanding and carving are different. 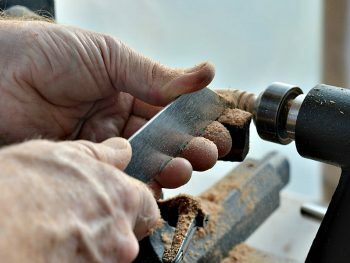 If the project is awkward to sand then a glove will protect your hand from the spinning wood. Sanding a winged or natural edged bowl, these gloves would provide some protection. Doing detail carving work, these gloves, protect you from the accidental slips that are bound to happen. Your hands and fingers are your most precious turning resources. Take care of them. Keep the dust and shavings out of your lungs. This full face shield protects you while you are turning and the air flow system provides clean air all day long. This system is perfect for any turner spending long hours in the shop. Battery and filter system are on your back attached to your belt. This allows the helmet to be lighter and the air to be filtered is not affected by your turning and sanding. A really good idea for any turner with respiratory concerns. A first aid kit is essential in any shop. I would recommend getting a comprehensive kit like this because you want to be prepared for any and all accidents in the shop. While safety is critical in woodturning, accidents do happen. Having a kit with a good selection of supplies will enable you to treat the injury quickly and efficiently. This is one of those items that you never want to use but are grateful to have when needed. I know a lot of people who like flashlights. Just open a woodturning magazine near Christmas to see all the options. This little LED flashlight has lots of light for illumination and a magnet on the end. While this is supposed to pick up, or hold, washers, screws, and nuts it will also stay on the rails of your lathe. This is perfect for giving you an adjustable light for inside those dark hollow forms! A delightful extra for your woodturner. I know a few woodturners who still heat their shops in the winter with wood heat. That wood heat can take the moisture out of the air really fast. This old fashion cast iron steamer keeps the humidity up without using electricity. It has a 3 quart capacity so it will go for a few hours. Maybe it doesn’t tie in really well with turning but I thought it was a neat gift idea. A lot of woodturning can be done with your basic turning set. However, there are lots of extras that help make life easier and faster. While you can turn captive rings with a skew chisel it really is easier with the captive ring tool. In the same way you can attach the wood to your lathe in many different ways but a multi-jawed chuck is very convenient. Here are a few ideas just to get you started. 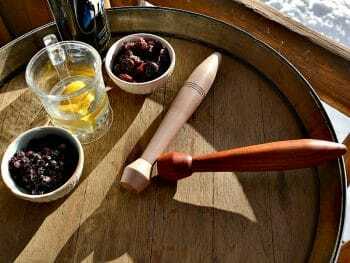 For more ideas just ask your favorite woodturner! Okay now it is time to play at the lathe. A captive ring tool allows the turner to turn a captive ring out of the wood so that the ring is captive on the turning. You can add captive rings to goblets, baby rattles, even honey dippers. This is basically a left and right scrapper that will allow you to decorate many turnings with a captive ring. For instructions, check out my post on how to use a captive ring tool. This is very useful for checking the depth of a bowl or hollow vessel. It would be easy to make a larger base so that you could measure the depth of larger bowls. A depth gauge takes the guess work out of estimating where the bottom of the turning is. This gauge can be adjusted to various angles and would be suited to other woodworking measurements as well. These drills are perfect for drilling flat bottomed holes on your lathe. Use them to drill out needle cases, weed pots, or small boxes. This set ranges from 1/4″ to 2 1/8” with 1/8” increments. You will need to have a chuck to hold the drill bits. This is a solid drill chuck that fits into your tail stock. You will need to determine which morse taper you need to fit into your tailstock. Most tails stocks are MT2 but you want to check before you order. To know the condition of your wood stock you need a moisture meter. It helps you determine how dry your wood is and if you might have challenges using one piece of wood with another piece that is either wetter or dryer. Also useful to check on the condition of your turned green wood bowls before you apply the finish. There is an unspoken rule in woodworking that you can never have too many clamps. I don’t use clamps too often in my turning but when they are needed they are really nice to have. This set of two medium sized clamps are very versatile and easy to use. One Christmas I received a great gift from my children. They had gone out on our farm and cut branches of Douglas Maple and Black Birch. Each piece was about 2′ long and three to four inches in diameter. I looked forward to turning with the wood once my shop had thawed out in April. 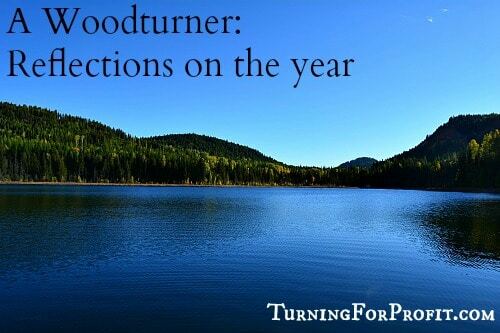 Turners have preferences for the types of wood and projects that they turn. Keep that in mind as you search out some turning blanks for their enjoyment. Pen blanks are useful for more than turning pens. You can make icicles, honey dippers, and mini-decorations to name just a few. Sometimes the quantity of pen blanks offered is not clearly presented online, so be careful. 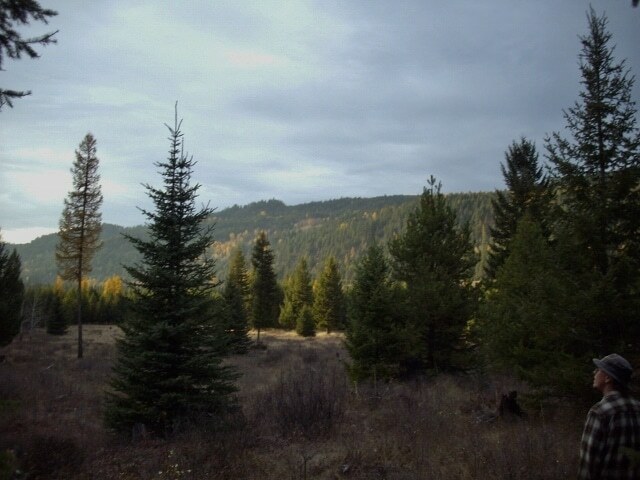 However, you can search around and find a few interesting types of wood to choose from. These are turning blanks for bottle stoppers. You can search “turning blanks” and find all sorts of different species, shapes, and sizes. 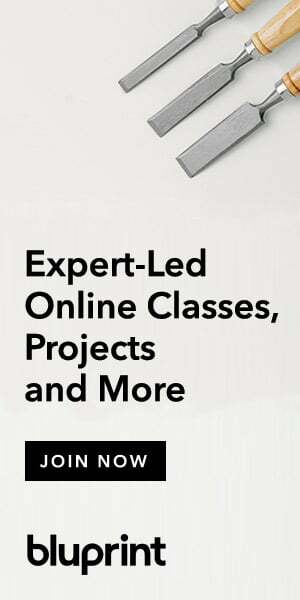 Perfect for turning a wide variety of projects. Perfect for waxing up the rails on your lathe and helping you fix other sticky problems in your shop. Beeswax is frequently an ingredient in finishes and polishes. Quick woodturning tip, after you file your tool rest smooth add some beeswax for lubrication. When you tool sticks on the rest just touch it up with a quick rub of wax and a little polishing. Works wonders. Not all gifts have to be serious. In fact some of the more memorable ones were given just for fun. Keep you eyes open for novelty items that have a connection to woodturning and wood working. I like my coffee so coffee mugs are in this selection. The ad calls this a woodworking mug. But we know better. It says you “turn” wood into things. That sounds like a woodturner to me. A great mug for holding that first cup of coffee of the day. Okay. I like my coffee. Sometimes I like drinking coffee in the shop. Here’s a perfect travel mug that will keep the coffee hot and the shavings out. Useful in warmer weather, or in warm shops, this T-Shirt tells the world about your super power. 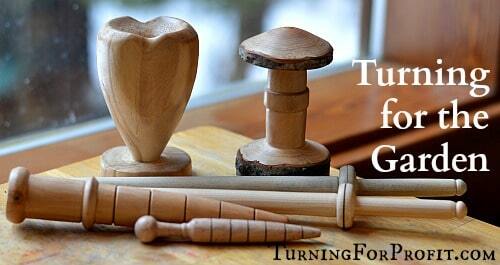 “You turn wood into things.” Awesome, let’s keep on turning! 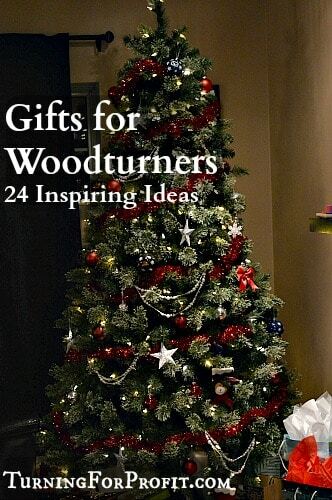 This is a list of 24 gifts for woodturners. It is not comprehensive by any means but hopefully it has given you a few ideas for the woodturner(s) in your life! I would love to hear what gifts you selected and how much that special woodturner liked them. Give me a comment a little farther down the page. Thanks and happy shopping. A Toolbox Christmas CD. A collection of favorite Christmas tunes all turned out on workshop equipment. Planers, table saws, hammers, and nails all get their chance to shine. Puts the usual sounds of the workshop in a different perspective. For fun at your Christmas party just slip this one in with all the rest and see if anyone notices! Enjoy. I’ve written this book to help new turners learn how to turn. The projects are progressive and therefore build on each other. I’ve also included information on the business side of woodturning. So if you know anyone just learning to turn or wanting to turn their hobby into a business this book is for you. Thanks for reading through all of the gift ideas. I hope you found some inspiration. I have a weekly newsletter that provides email notification of when there is new content posted. It will tell you of new projects, business articles related to woodturning, and sometimes articles like this one. You can sign up in the right side bar or a little farther down the page. I only use the newsletter to communicate with you about Turning For Profit. It is an excellent way of staying connected to this great turning community. Well this is the bottom of the post. Have a good day and remember to always turn safely. 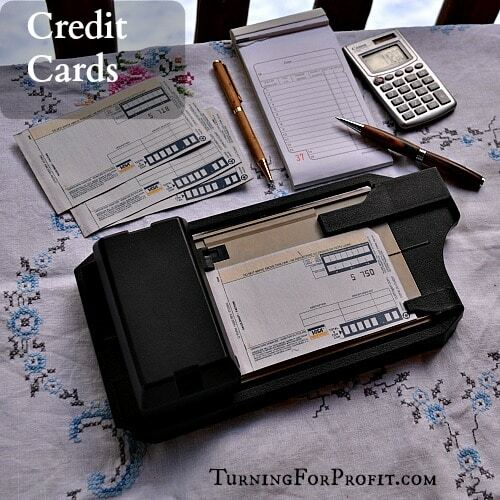 Previous Post: « Credit Cards – Are They Right for You? Thanks for the Christmas present ideas! My husband has a lathe, and I have a sewing machine (well, two actually! ), and together we “create” stuff; such rewarding hobbies:-) Always difficult to know what to get him for Christmas, so I was glad to see your page of ideas, two of which I have now ordered! Thanks again, and hope you have a great Christmas!